Yell-green pus like discharge always indicates a serious eye infection which needs to be treated immediately. Excessive blinking and pawing of the eyes etc. Surgery for abnormal eyelashes, ulcers and even duct obstruction etc. 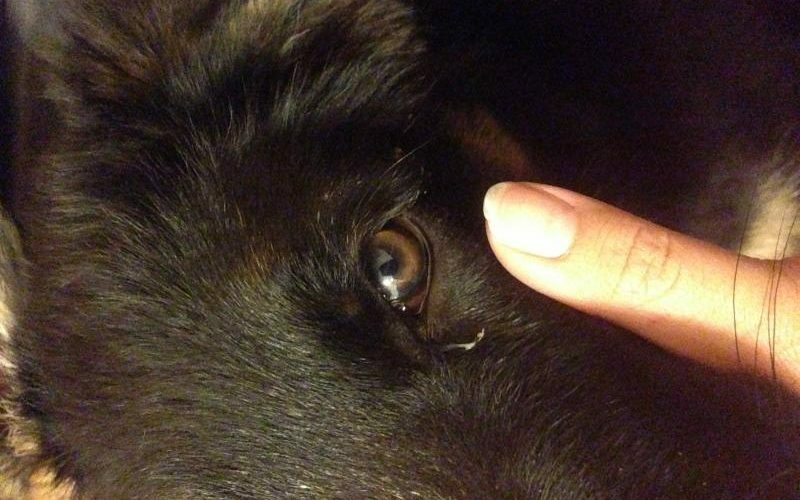 Dry-Eye: The failure of the canine eye to produce tears can lead to mucus discharge which might be sticky and tenacious and inflammation of the eye. Generally this condition results from some trauma suffered by the eye or even due to the canine’s immune system attacking the tissues of the tear glands. This is quite a serious infection since it can lead to inflamed eyes which are quite painful, corneal ulcers etc. Treatment includes the use of artificial tears, antibiotic eye drops, immunosuppressant drugs or surgery. Glaucoma: This results because of the eyes suffering from the infliction of excessive pressure. Symptoms indicative of this eye condition are bulging and cloudy eye or eyes and even excessive tearing. Even though this condition does not cause much pain, surgery is usually recommended and medications can be orally had to help chance the ocular pressure. A very interesting point to be noted here is that flat-faced dogs are more prone to dog eye discharge because their flatter faces result in protruding eyes due to the eye pockets being shallow. Some of the common breeds which face this problem are pugs, bull dogs, boxers, Pekingese etc. Eye discharge is also indicative of many other serious problems which would be difficult to predict unless one visits the vet and ensures that their canine pets are taken care of regularly.